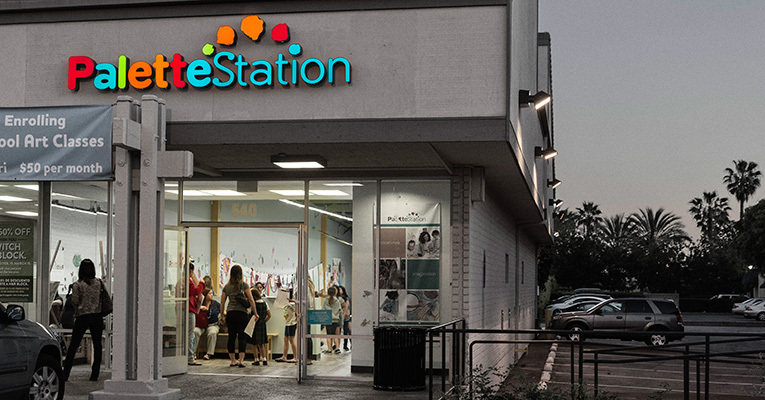 Palette Station provides affordable, flexible and high quality art enrichment for kids while addressing the needs and challenges of today's busy young families. Our unique curriculum, low student-to-teacher ratio, and professional instruction develop foundational artistic skills while also encouraging individual student creativity. We provide in-studio classes, "on-campus" programs for public, private and home school educational institutions, summer and holiday camp programs, and scouting badge fulfillment. Our spacious studio provides a unique venue for custom art-themed birthday parties and events. Additionally, parents may purchase a wide array of Custom Collectible products that feature their child's artwork.